4) safe opioid prescribing practices. Click here for more information. That does seem to be a really high dose. What was the reason for raising the dose higher? Was it because of cravings? I really hope they didnâ€™t have you go from 8mgs straight to 24mgs. Iâ€™m not sure what your relationship is with your doctor but contrary to some doctorâ€™s belief it should be a joint effort in order to come up with the best strategy. The patient should have some say especially when dealing with a drug like Suboxone. If you feel that itâ€™s too high a dose and you could manage with less, than you need to speak with your doctor. If he/she is unwilling to lower than you need to look else ware. I knew someone in a similar situation and what he did was just taper himself and keep the remainder. Iâ€™m not recommending this just mentioning. Let us know more information. There are a lot of people that can help you here. Also I wouldnâ€™t lose hope because youâ€™re at such a high dose. I think if you research you will find tapering from a high dose isnâ€™t whatâ€™s hard. Itâ€™s when you get down to around 2mgs it gets hard. What Iâ€™m saying is youâ€™re really not in any worst situation than someone taking 8mgs that also wants to quit subs. I have been on 0.5mg of sub for 3 weeks now and am doing well. It’s still hard not to take subs though because of the WD symptoms. Is klonopine the answer? Can I take a low dose of klonopine for 2 or 3 weeks while I get the sub out without starting a new addiction? I don’t want to be dependent on something new. Opiate Replacement Therapy is not a Cure! I am putting this in the anger section because I have heard or seen this way to many times and think we should have this thread on the forum to help newcomers, friends, partners and family understand by just taking suboxone/methadone is not the cure, you are far from being in the clear. Yes it is a great start but addiction doesnâ€™t just up and go because you are taking one of these medications and things wonâ€™t change unless you make things change! But it is all to common in the early stages of treatment people blame the medications and say they are not working because they have relapsed. There is so much to recovery than a pill and I think we need to help uneducated people understand this. And yes not everyone needs counseling groups or whatever it maybe but the average addict canâ€™t do it without these things. Think about this. Maybe not everyone cares to sign up for AA/NA. I know personally, the only thing I have to do to not use is not take a needle, put dope in it, and stick it in my arm. I don’t believe that God or the table I call my higher power or whatever can stop me from doing that. Only I can. I chose this link because he displays and cites MULTIPLE studies showing that AA is no more effective than no treatment. Some of us are interested in using religion to get better, and some of us just care to use facts. This is a link to an article citing studies about the effectiveness of buprenorphine. This bulletin was written by the World Service Board of Trustees in 1996. It represents the views of the board at the time of writing. Not all of us come to our first NA meeting drug free. Some of us were uncertain about whether recovery was possible for us and initially came to meetings while still using. Others came to their first meetings on drug replacement programs such as methadone and found it frightening to consider becoming abstinent. One of the first things we heard was that NA is a program of complete abstinence and "The only requirement for membership is the desire to stop using." Some of us, upon hearing these statements, may have felt that we were not welcome at NA meetings until we were clean. But NA members reassured us that this was not the case and we were encouraged to "keep coming back." We were told that through listening to the experience, strength, and hope of other recovering addicts that we too could find freedom from active addiction if we did what they did. Many of our members, however, have expressed concern about individuals on drug replacement programs. Questions come up regarding such individuals’ membership status, ability to share at meetings, lead meetings, or become trusted servants on any level. "Are these members clean?" they ask. "Can one really be a ‘member’ and still be using?" Perhaps by answering the most important question firstâ€”the issue of membershipâ€”we can establish a context by which to approach this issue. Tradition Three says that the only requirement for NA membership is a desire to stop using. There are no exceptions to this. Desire itself establishes membership; nothing else matters, not even abstinence. It is up to the individual, no one else, to determine membership. Therefore, someone who is using and who has a desire to stop using, can be a member of NA. Members on drug replacement programs such as methadone are encouraged to attend NA meetings. But, this raises the question: "Does NA have the right to limit members participation in meetings?" We believe so. While some groups choose to allow such members to share, it is also a common practice for NA groups to encourage these members (or any other addict who is still using), to participate only by listening and by talking with members after the meeting or during the break. This is not meant to alienate or embarrass; this is meant only to preserve an atmosphere of recovery in our meetings. Our Fifth Tradition defines our groups’ purpose: to carry the message that any addict can stop using and find a new way to live. We carry that message at our recovery meetings, where those who have some experience with NA recovery can share about it, and those who need to hear about NA recovery can listen. When an individual under the influence of a drug attempts to speak on recovery in Narcotics Anonymous, it is our experience that a mixed, or confused message may be given to a newcomer (or any member, for that matter) For this reason, many groups believe it is inappropriate for these members to share at meetings of Narcotics Anonymous. It may be argued that a group’s autonomy, as described in our Fourth Tradition, allows them to decide who may share at their meetings. However, while this is true, we believe that group autonomy does not justify allowing someone who is using to lead a meeting, be a speaker, or serve as a trusted servant. Group autonomy stands only until it affects other groups or NA as a whole. We believe it affects other groups and NA as a whole when we allow members who are not clean to be a speaker, chair a meeting, or be a trusted servant for NA. Suggesting that those who have used any drug within the last twenty-four hours refrain from sharing, but encouraging them to get together with members during the break or after the meeting. Abiding by our fellowship’s suggested clean time requirements for service positions. Seeking meeting leaders, chairpersons, or speakers who help further our primary purpose of carrying the message to the addict who still suffers. We make a distinction between drugs used by drug replacement programs and other prescribed drugs because such drugs are prescribed specifically as addiction treatment. Our program approaches recovery from addiction through abstinence, cautioning against the substitution of one drug for another. That’s our program; it’s what we offer the addict who still suffers. 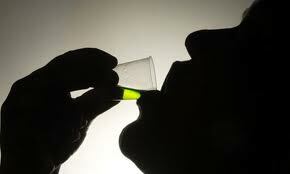 However, we have absolutely no opinion on methadone maintenance or any other program aimed at treating addiction. Our only purpose in addressing drug replacement and its use by our members is to define abstinence for ourselves. Our fellowship must be mindful of what kind of message we are carrying if a still-using addict leads a meeting, or becomes a trusted servant. We believe that under these circumstances we would not be carrying the Narcotics Anonymous message of recovery. Permissiveness in this area is not consistent with our traditions. We believe our position on this issue reinforces our recovery, protects our meetings, and supports addicts in striving for total abstinence. Note: This bulletin addresses the use of methadone maintenance as a drug replacement strategy. It is not addressing the medicinal use of methadone as a pain killer. We encourage those who have concerns about the use of methadone in pain management to refer to Narcotics Anonymous pamphlet, In Times of Illness. I would include a link, but I cannot until I have been a member longer. How can anyone be on Suboxone and in NA? People in the rooms used to tell me I could, but obviously the powers that be do not agree. And at the same time i know alot of Sub Doctors actually put the trust in the patient to attend meetings and get self help but lie about it pretty much taking advantage of the trust the Dr gives you. And not everyone does this but i personally know alot of people who did during my time on suboxone and i am sure people still do it today. Not everyone drinks the NA kool aid. How can you say "doctors actually put the trust in the patient to attend meetings and get self help.."
NA is not a proven treatment for addiction. Nowhere can I find a study that puts the AA/NA rate higher enough than the spontaneous recovery rate that a doctor/scientist felt comfortable saying "This is what works!" New To Suboxone, Experienced info. needed! I agree with Breezy_ann. wowza you probably thought you were about to loose it for sure. Go with the lower dose and read the induction thread. There is a ton of info here. I started out on 4mg BID and decreased every 4th day to 6, 4, 3, 2, 1 ,.5, .125 and off in 30 days. No problem at all! I was only on OxyContin 50 mg a day. Everyone is different, this is YOUR journey. Do what you need to do to stay stable and without cravings. The sleepiness and other symptoms should lessen each day. If not call that doctor. I saw my sub doctor today and he told me the jerks and twitches and runny nose are all part of still going through withdrawel. I’ve only been on suboxone for a month or so now. AND when I told him I was still having mild cravings, he upped my dosage to the max— 32mg a day!! Assured me about how safe this medicine is, and that since it has taken away all of my back pain, there is no reason I could not stay on it for the rest of my life. (I’m only 43). So the diarrhea I had last night, the upset queasy stomach and the restless legs and all are all symptoms of withdrawel, of which I can expect another month of. Also, I have fractured my foot and it’s been hurting for 3 months. I asked him why–how can it take away all of this chronic back pain, but not the lesser pain of my foot?—- and he said Suboxone works on a different neuro-pathway in the body.